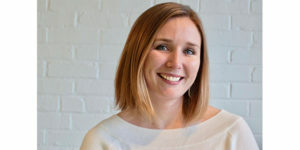 The Automotive Aftermarket Suppliers Association (AASA) has announced the addition of Megan Gardner to its staff as the new director of membership and sponsorship. Gardner’s responsibilities in her new position at AASA will include membership growth and retention, identifying member needs and potential new association services, and building relationships and relevance with sponsor-partners of AASA events and special programs. Gardner comes to AASA from TurnKey Marketing, where she served as director of client success. Prior to that position, she was vice president, accounts for 3 Birds Marketing. Her experience includes working with car dealerships, developing marketing and promotional campaigns to drive growth. Gardner holds a Bachelor of Arts degree in communications from Villanova University and a master’s degree in sport management from the University of Massachusetts, Amherst.